Pearson Follies Part II: How did we get here? The U.S. Department of Agriculture has sold out to Monsanto. The U.S. Department of Energy has sold out to the fracking lobbyists. And the U.S Department of Education has sold out to Pearson. But the information these individuals and others have unearthed and written about is worth our continued careful and ongoing examination because as we speak, still few too many people really understand HOW education policy is being made in the USA. Bear in mind-the actual list of lobbying efforts that I am largely working from here goes back to 2007 and is about 29 pages long as a Word doc. What I present here is merely a SNAPSHOT of some of their lobbying escapades. It is by no means is it a comprehensive report. I recommend that everyone go read their full lobbying history at InfluenceExplorer. Click the “download” button to review the Excel spreadsheet that itemizes the topics lobbied and the year. Pearson has a long history of lobbying to and working with the federal government, for both Democratic and Republican administrations. Their “ownership” of the control mechanisms in education is apparently bipartisan. Two of their favorite lobbying firms are Bryan Cave LLP and Akin Gump. As mentioned in last week’s blog post (Pearson Follies Part I), Akin Gump does pro bono work for Teach for America. In 2009 Chief Council of State School Officers (CCSSO), National Governors Association (NGA) and Achieve agreed to partner together on a common core standards project. And lo and behold, PARCC and SBAC won these grants. 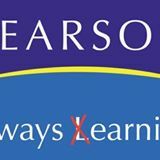 Well of COURSE Pearson would lobby FOR THAT! Duh…. What else do they lobby for? Their first objective is to manufacture educational policies and processes which Pearson itself will then provide the services for. Whether or not these policies and practices offer meaningful or beneficial services to children is a far distant second. Wait. I’m being way too over-generous in that last statement. I don’t think children’s well being is anywhere on their radar. So it must, it will, remain on ours. And Pearson will remain on my radar too. Stay tuned for next week’s installation of the Pearson Follies, Part III.